Who should I send to my trade show booth? This question is fairly common - should I send a marketing person or a sales person? Should the CEO attend? Could an intern manage it? Should there be one or multiple people? There is no "one-fits-all" answer to these questions, yet, there are a few elements to observe. First of all, NEVER send an intern or junior staff to an exhibition, except as part of his training while being teamed-up with a more experience person. A professional event is something serious that must be handled with great care. Then, sending your top executives is a wonderful idea. Whether it is your CEO, CMO, Sales Director, etc. it will have a positive impact. They will be able the show the way, be an example to follow, motivate the team and better experience what really happens on the field. However, regardless of their position in the company, anyone in your booth MUST follow the same rules. It might be a good idea as well to send the person in charge of organizing the booth (usually from marketing). In order to improve results from one event to the next, the person in charge should be in the booth and observe on his own what could have been done better. Finally, you absolutely need sales people, preferably senior ones, with some experience working at trade shows. They are the heart of your strategy; they will build your success. You could also send, for a few hours only, other people from your team: HR, IT, product development, design, customer service, etc. They may not be of much help but it is important for your team to understand and meet customers regularly.
" Staff preparation is important because: it is a people-to-people medium where the quality of communication is critical. There is nothing in an exhibit that can sell other than the people. 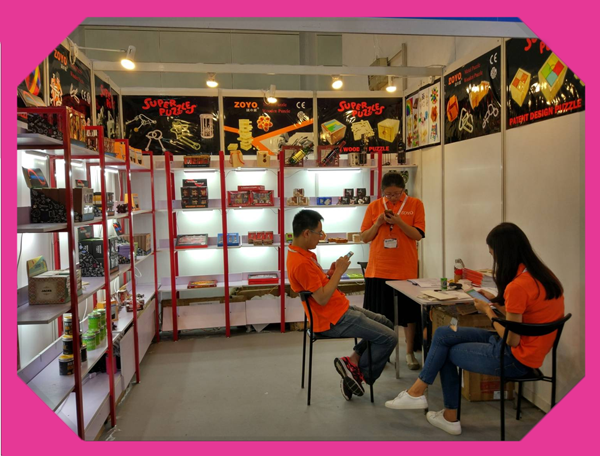 Everything in the exhibit, including the exhibit assets, are tools for the staff to use to engage, qualify, conduct a needs analysis, communicate a message and obtain a commitment from the show visitor. " Regarding the number of people you should send, it mainly depends on two elements: your booth's size and the number of prospects you expect. 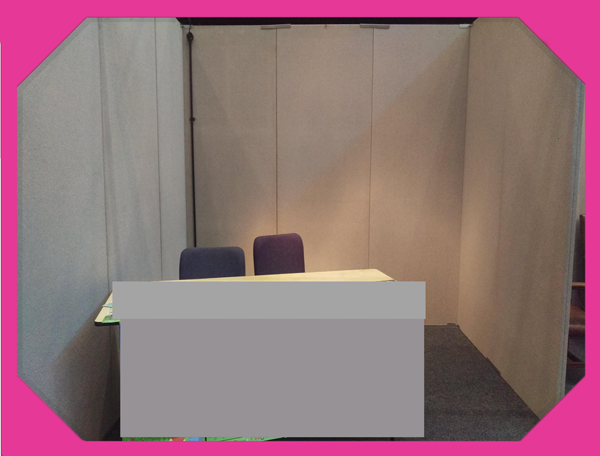 If you have a traditional 3*3m booth, don't send more than 2 or 3 representatives otherwise you may scare visitors away and clutter the stall. On the contrary, if you have a large booth, don't only send a couple of staff or you will not be able to manage all visitors. A simple rule is to never send a single employee (that would mean leaving your booth empty during toilet or lunch breaks) or more employees than your booth can realistically contain. What are the rules to respect? What I will call "booth behavior" or "etiquette" may sometimes sound obvious but remain a mystery for many companies. While walking the aisles of an expo, you can often observe amazing things you wouldn't believe possible. The rules I mention below are the very basic steps to proper event management. Ignore them and fail. Let's start with the basics. Playing with your phone in the booth is a lack of respect to your prospects and the assurance of missing opportunities. There is but only a single situation in which phones may be allowed: if those are used for either capturing leads or making demonstrations. Even then, you shouldn't use them outside these specific actions. What's true for phones also applies to food: no gums, no snacks, no drinks, no sandwich. If you're hungry, get out of the booth for a fe minutes to eat something. Within the booth, nothing matters more than respecting your visitors.
" Do not arrive at your stand late. Do not put your make-up on when manning the stand. Do not arrive smelling of alcohol from the night before. Make sure your clothes are ironed and clean. Make sure the shoes you wear are suitable for wearing all day and NEVER walk around without shoes – even if your feet hurt! " I was mentioning it earlier, your stall should host at least two representatives to avoid ever being left empty. Beyond the risk of missing opportunities, you also give a poor image of your company: neglected, disorganized and definitely not reliable. Organize yourself to make sure your representatives take turn.
" What does your body language say about you? 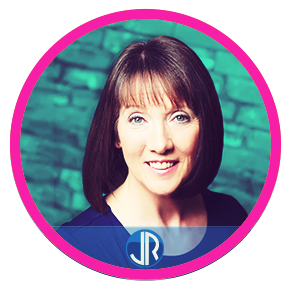 As a polished professional you’ll want to stand tall, head and shoulders above your competitors. Be aware though, there are times when our true feelings leak out accidently, even sometimes contradicting the words we have spoken. So be careful when using facial expressions, gestures, posture and the use of the space around you – don’t get too close to the show visitor, it might offend them. " A booth without products, logo, design, and marketing is a booth without business. It isn't about investing millions of dollars in your booth. Simply having a logo, photos or graphics and presenting your product properly doesn't cost much and communicates care and trust.
" 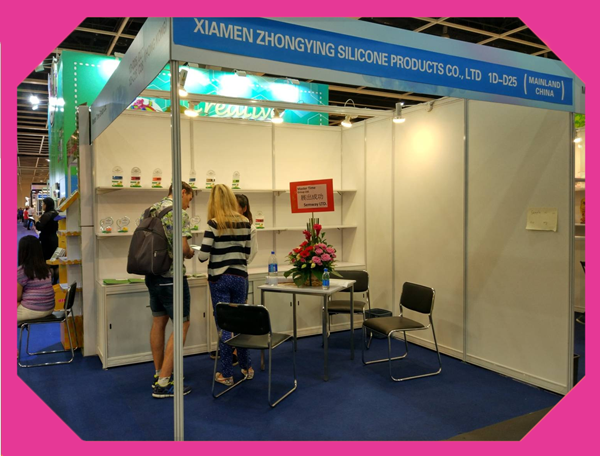 There is no excuse at all for having a stand without marketing materials, pop-up banners, brochures or whatever marketing medium you choose to promote your stand. What is not acceptable is posters sellotaped to the front of a bare table. All this does it tell the show visitors that you are a very unprepared company and remember visitors will remember what they see last about you! " 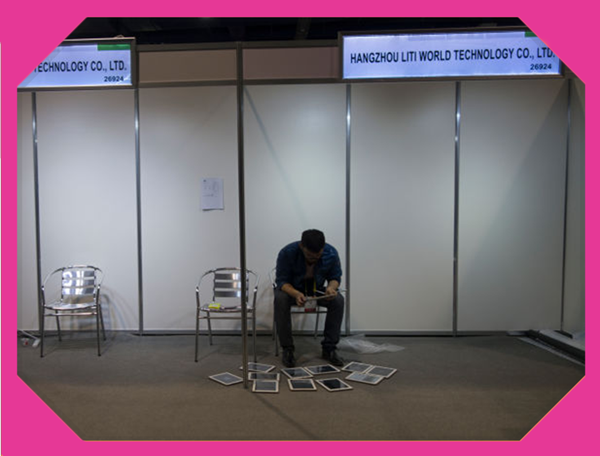 If you wish to keep your products secret and forbid photos at all cost, you may seriously reconsider participate in a trade show. Technology is everywhere. If someone wishes to take pictures of your products, he will. One way or another. Do not scare your visitors away by creating unrealistically strict rules. You may politely ask people not to take pictures if it is absolutely vital for you, yet, I strongly suggest you do the opposite: encourage people to take pictures and share them on Social Media to get exposure. Your booth isn't meant to be Fort Knox. You should have large openings. If you don't, at the very least do not guard the door, you will discourage visitors. You should remove any wall or piece of furniture that could block the way and never stand on the stall's borders like a bouncer.
" 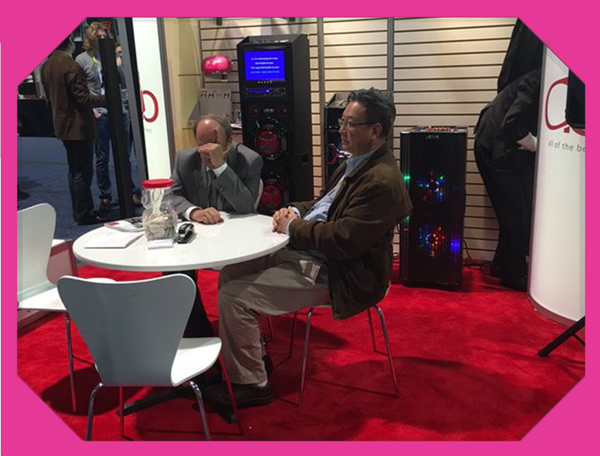 Visitors to shows like to feel they and freely walk into your stand and study what is there. They like to browser, to touch, to taste, to experience what you have on offer. Allow them to do that and they will remember you for all the right reasons. " 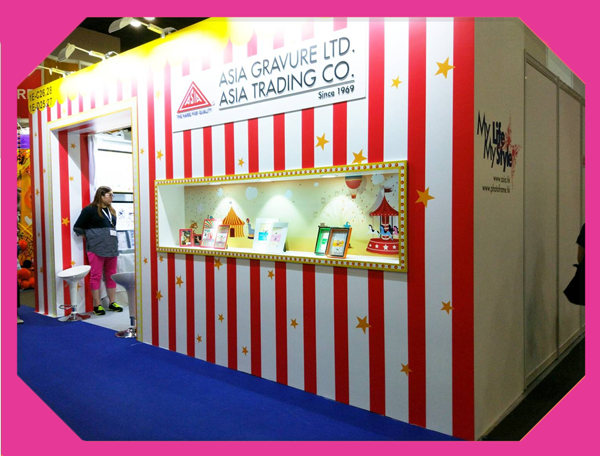 Your goal is to attract visitors to your booth. To achieve that, you will need to count on your natural charm. Do not stare at your shoes. Do not look at your phone. Do not read your own brochures. 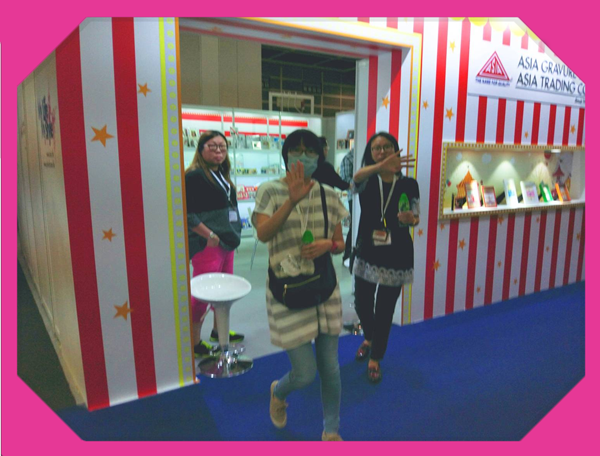 Smile to people passing by, look them in the eyes, invite them to discover your products. These are basic human interactions! For some people it comes naturally. For others, it may be more complex: force yourself, that's the right way. That would be my last piece of advice: ask the right questions to attract prospects. A good question is an open question (that couldn't be answered by yes or no) leading to a conversation and that helps obtaining important information about the person you face.
" Ice-breaker questions are easy to prepare and can be done as a team building exercise before the show begins. Ask each team member to come up with 3 ice-breakers each and over the course of the show decide which one works the best. Ask questions like “Which speaker have you come to listen to today?” “I see you are with xyz company, what do you do there?” "
How can I make sure my staff respects these rules? You may have an in-house expert able to teach everything or contact a consultant to help you out or even read tons of online articles. Regardless, you will need to train your team and bring them up to speed. Knowledge does not come at birth - if you do not allow your staff to receive proper training, don't act surprised when they don't act as you expect. It is easy to forbid cell phones in the booth. It is much more difficult to apply this if you or your management team are constantly checking your emails. You must apply rules to yourself if you expect others to respect them.
" Don’t attempt to teach booth selling, but focus on transitioning what the staff does well already to the trade show environment. Play upon the competitive nature of sales staff and make it work by rewarding those that achieve established objectives. " It is important to observe your team, correct them when rules are broken and encourage them to always improve. Honest positive feedback is important. Be strict, but open. That is how your team will reach new heights. 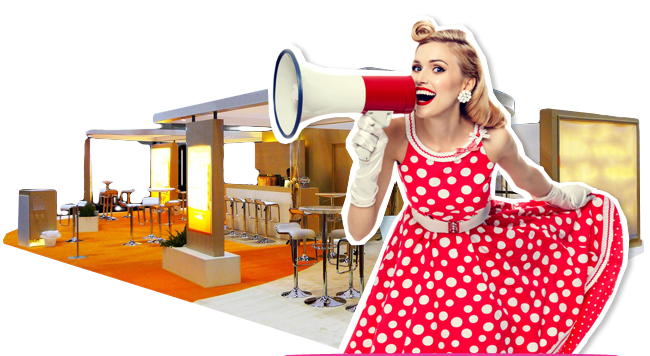 If you enjoyed this article, I invite you to discover "Checklist for a perfect Trade Show or Consumer Fair" as well as "The 3 steps of successful fairs - start making profits". I am also available should you look for someone to help you with your preparation, your strategy or your training before your next trade show. Don't hesitate contacting me to discuss further!